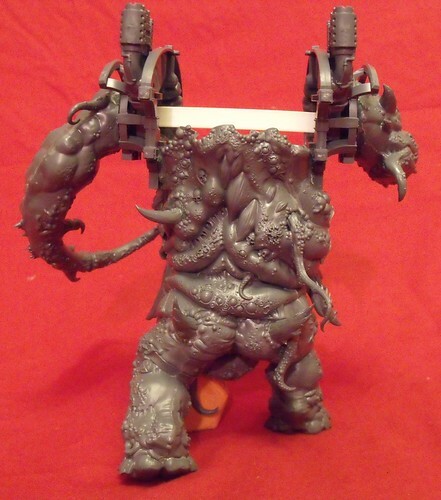 Adeptus Mechanicus: Glottkin Knight Conversion part 2! 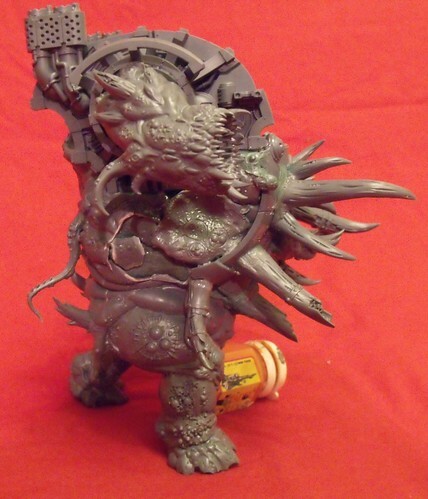 Glottkin Knight Conversion part 2! Work on my Nurgle Glotkin-Knight continues. He's taking a while, it's a massive task. So much green stuff... But still, I love the feeling that he's giving off now. He's basically a huge mouth on legs, reminds me of the medieval travellers tales of people with their heads in their torsos. 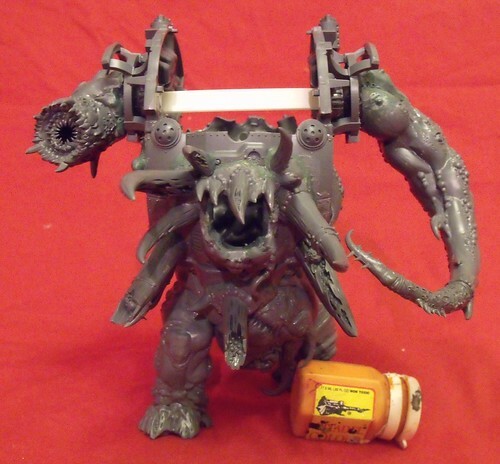 I think that he travels across the battlefield eating everything he can, constantly growing, and vomitting out the indigestibles via his mouth-cannon-arm. That seems nice and Nurgly! There's still a lot of greenstuff work to be done, filling the gap up the side between the knight carapace/belly plate and the main body of the knight. I've put in some cut-up bits of the Glottkin to help with detailing, but there's lots of work to do. I realised after finishing the front that I'd used some of the horns that were meant to come out of his back. So his back is not totally standard construction - the long tentacle is actually meant to come out of his arm/mouth. Again, lots of work to be done on the right-hand side filling the gaps. That's the big next step to do, and then on to work on the carapace.